Howard Schultz is marking the relinquishment of his Starbucks CEO position in a major way. 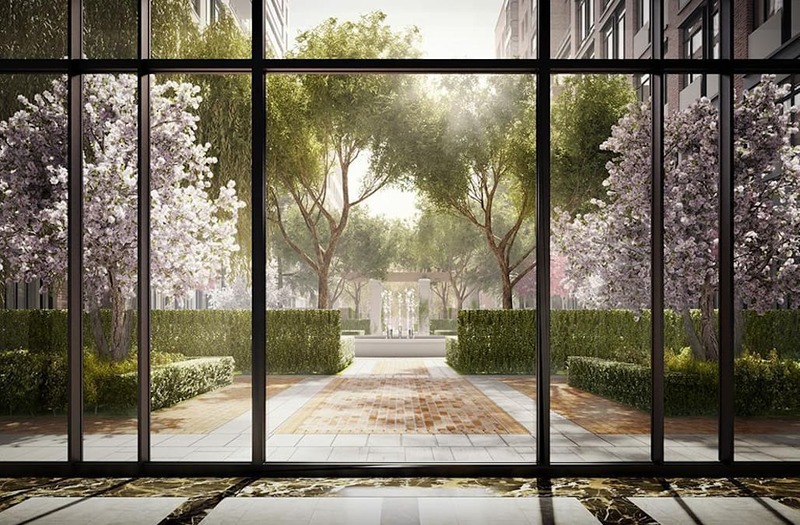 He reportedly dropped a cool $40 million on a glassy duplex penthouse at The Greenwich Lane development, sources told The Real Deal. The property was described as a "jewel box in the sky" by the listing, and it had originally listed for $45 million. The apartment went into contract in February 2015, but the sale just recently closed via an anonymous LLC. Schultz is expected to step down from his leadership position on April 3, and he will focus on Starbucks' higher-end Reserve line and the company's social initiatives. Greenwich Lane is a new development on a busy corner in New York City's Greenwich Village. The lobby is well-appointed with marble fixtures. A private garden for residents lies out back. ... and a 25-meter swimming pool for communal building use. There's also a separate 5,300-square-foot health center. Take the private elevator up to the 16th floor to access the duplex penthouse apartment. The apartment's total square footage is 5,587 when you also take the 17th floor into account. In total, the penthouse has four bedrooms and four and a half bathrooms. Floor-to-ceiling windows and 1,600 square feet of outdoor space allow residents to overlook much of lower Manhattan and the Hudson River.